The IT sector in Doha is predicted to expand at a little over 5 percent annually till 2020. The forecast for IT-related services and equipment following an in-depth analysis in consultation with industry experts indicates a positive trend for the segment in 2017. Qatar?s IT market is expected to grow at a Compound Annual Growth Rate (CAGR) of 12.37 percent till 2019. Be Prepared If the predictions prove true, then there is likely to be greater demand for technology specialists with sector-specific skills such as individuals with Scaled Agile Framework training in Doha.Being prepared for this eventuality with the relevant training and certification can put you on the path to success instantly. Simply put, the Scaled Agile Framework (SAFe 4.5) methodology is suitable for bigAgile project teams seeking to maximize revenue, get wider brand recognition, boost customer satisfaction, and ensure employee welfare without selling any one short. The leading SAFe 4.5 certification training in Doha provided by KnowledgeHut ensures that you are well-prepared for the SAFe 4.5 Agilist Certification exam. The two-day intensive training is classroom-based to ensure it has a better impact on students than a leading SAFe 4.5 online course. A Scaled Agile Framework certified course instructor with at least two decades of experience will be conducted the sessions. 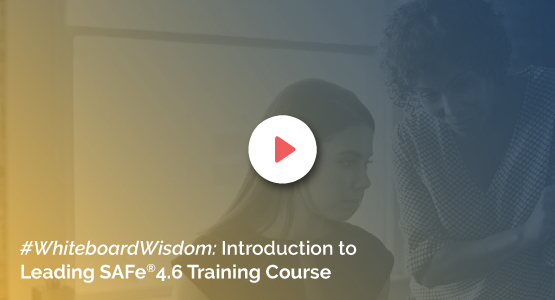 The coursework covers topics such as an introduction tothe Scaled Agile Framework, Lean and Agile values, SAFe 4.5 principles, building an Agile Portfolio, and leading the Lean-Agile Enterprise. This training module for Scaled Agile Framework certification in Doha is well-designed and easily accessible. KnowledgeHut also offers several useful online classes or online training programs that one can benefit from. A New Alternative Completing the Scaled Agile Framework trainingcourse can help you identify roles and structures required to scale Agile to the program level, describe and promote the use of SAFe 4.5, and outline how a program interacts with Program Portfolio Management (PPM, amongst others. Seeing as how classroom sessions have been found to be more beneficial when compared to e-learningtechniques, this method of delivery has been adopted. But enrollment for the course is available online. Keeping Ahead of the Curve	Many participants in the Scaled Agile Framework certification in Doha see it as an opportunity for career advancement. People with experience in software development and testing, business analysts, product and project managers,portfolio managers, as well as system and solution architects often opt for this course. KnowledgeHut Empowers You Use theScaled Agile Framework training in Dohaoffered at an affordable price by KnowledgeHutto hone your skills for the SAFe 4.5 Agilist (SA) Certification Exam. KnowledgeHut has access to exhaustive expertise that can come in handy while you attempt to support a Lean-Agile transformation in your organization.